Individuals with expired Green Cards are required to submit the Green Card Renewal Application Form I-90 as soon as possible. A Green Card is valid for 10 years. It is important to remain aware of a Green Card's expiration date. Without a valid Green Card, it can become difficult to work or travel. It is generally recommended that the Green Card Renewal Form I-90 be filed within 6 months of the expiration date. The expiration date is located on the front of the Green Card. Filing your Green Card renewal application within 180 days of the expiration date will prevent a delay in receiving your renewed Green Card; the application for renewal should be filed in a timely fashion. 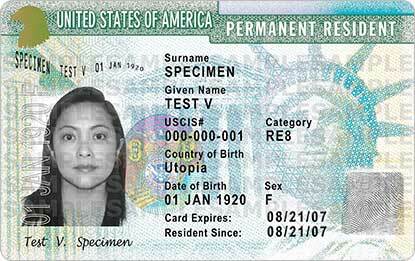 If the front of a Green Card does not show an expiration date, it might be because it is an older version of the Green Card that is, in most cases, no longer valid. Renew your Green Card to receive a current one. 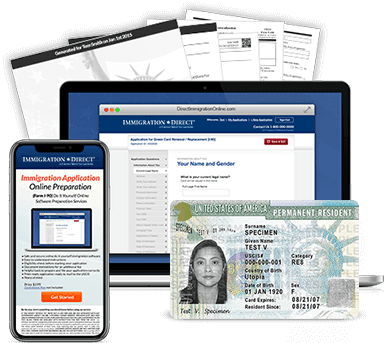 The Green Card Replacement Application Form I-90 should be used if your information needs to be changed, or if your Green Card has been lost, stolen, destroyed, or damaged. If you were issued a Green Card before you turned 14 years of age, you will be required to replace your Green Card upon turning 14 years old. If your Green Card expires while outside of the United States and you did not file a renewal prior to your departure from US soil, it is recommended that you contact the nearest US consulate, USCIS office, or US port of entry before filing your Green Card Renewal Application Form I-90. The USCIS processing time for Green Card renewal or replacement is approximately three to four months. Don't get lost, whether you're trying to renew your Green Card or attempting to figure out how to get a Green Card -- our resource materials can guide you.